The U.S. Supreme Court has now cleared the way for the execution of state inmate Dominique Ray. Ray was sentenced to the death penalty after a Dallas County jury convicted him of capital murder in the death of 15 year old Tiffany Harville back in 1995. 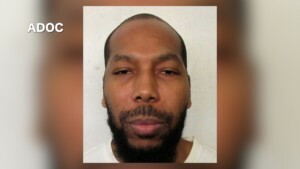 Ray, who is a Muslim, was due to be executed Thursday but he won a stay of execution when he asked to have his imam in the execution chamber instead of a Christian prison chaplain. The execution has now been cleared to proceed. “He got caught. He got convicted and he got the maximum sentence,” said Michael Jackson. Ray was also convicted and sentenced to life in prison in the 1994 double murder of brothers, Ernest and Reinhard Mabins.